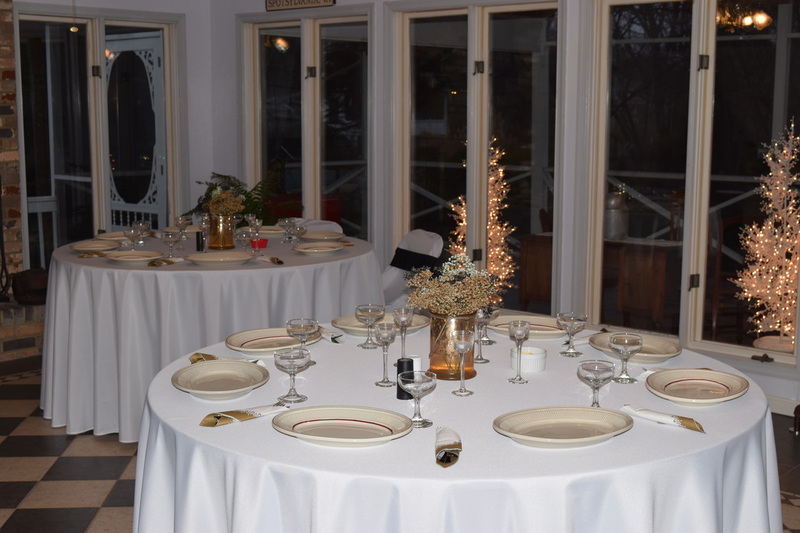 Our own venue in Bowling Green, VA - Magnolia Morning can host up to 40 people for a full ceremony and reception. Ceremony can be outside weather permitting in our lovely setting with a beautiful arch draped in white. 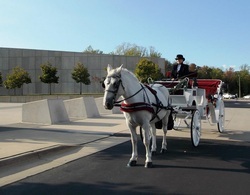 Elope on the carriage ride around town - stop at your favorite historical site and exchange your vows. 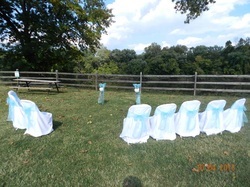 Continue on your carriage ride as Mr. & Mrs. - "Just Hitched"
How about a simple ceremony for a few family and friends in the park over looking the river just for you two. Perfect for pictures.